Bought a new kayak but still need to find a paddle to go with it? Or do you need to replace your old paddle? Then, you might wonder, or need a reminder of, how to size a kayak paddle. We here at The Adventure Junkies will guide you through the process. In this article, we’ll go over everything you need to know to properly size a kayak paddle. From your body type to stroke angles and suggested sizing methods, we cover it all. Once you’re familiar with the process, you’ll realize it’s not really that difficult. Really, it’s only a matter of taking some measurements and reading a simple chart. 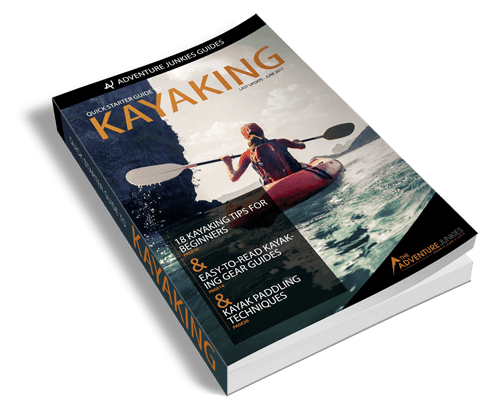 Although opinions differ with regards to the ideal paddle length for a particular kayaker, the methods for how to size a kayak paddle are widely accepted throughout the kayaking community. Sizing a kayak is pretty straightforward and based on a few different factors. Before we delve in, though, let’s briefly go over how paddle lengths are described. 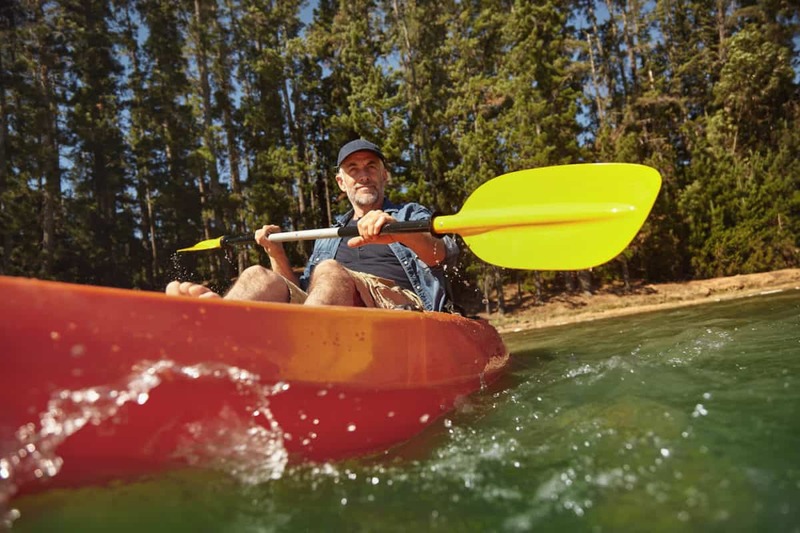 The industry standard for measuring and describing the length of kayak paddles is metric units, according to Paddling.com. They say that no kayaker will know what you’re talking about when you say you use a paddle that’s 72.22 inches long. Everyone, however, will know what a 220-centimeter paddle means. Remember that 1 inch equals 2.54 centimeters. It’s also good to know that the difference between a 220cm and a 230cm paddle—10cm or about 3.9”—means that your paddle is 5cm longer on each end. Don’t simply think it’s 10cm longer overall. No, realize we’re talking about 5 extra centimeters on both ends, from the center of the shaft to the tip of the blade. Simply put, the taller you are, the longer your paddle should be. This is an oversimplification, though, because many factors should be taken into account. We’ll get to that in a moment. Now, let’s first discuss the importance of your body type. It’s not because two people have the exact same height that they’ll need paddles of the same length. Someone may have longer legs while the other one might have a longer torso. It’s your torso length that really matters. You can measure your torso length by sitting on a chair with a straight back. The distance between the chair’s surface and your nose is your torso length. 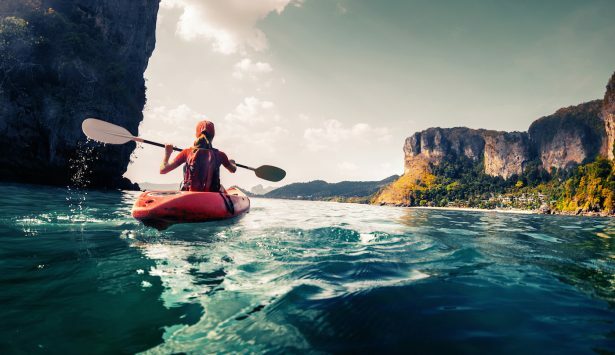 Torso length is the most important factor to consider when figuring out the ideal size of your kayak paddle when you’re sea kayaking or going on longer kayaking excursions/expeditions. When you’re kayaking for recreational purposes, the design of your kayak (see below) is what you should focus on. Stroke angle is a second thing to think about. Some people prefer to use strokes near the side of the boat while others like to put the paddles into the water further from the hull. Respectively, these strokes are known as high strokes and low strokes. Remember that these measurements are the ones to go by if you’re kayaking recreationally. 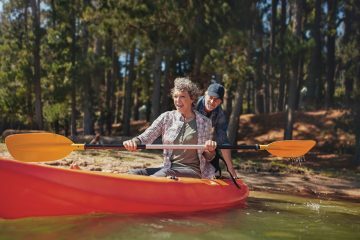 In the following section, we’ll discuss how to size a kayak paddle if you’re heading out to sea or on longer excursions. The wider your kayak, the longer your paddle should be. This may seem intuitive and it is, but there are also other factors to think about. For example, a short person in a wide kayak might need the same length paddle as a tall person in a narrow kayak. 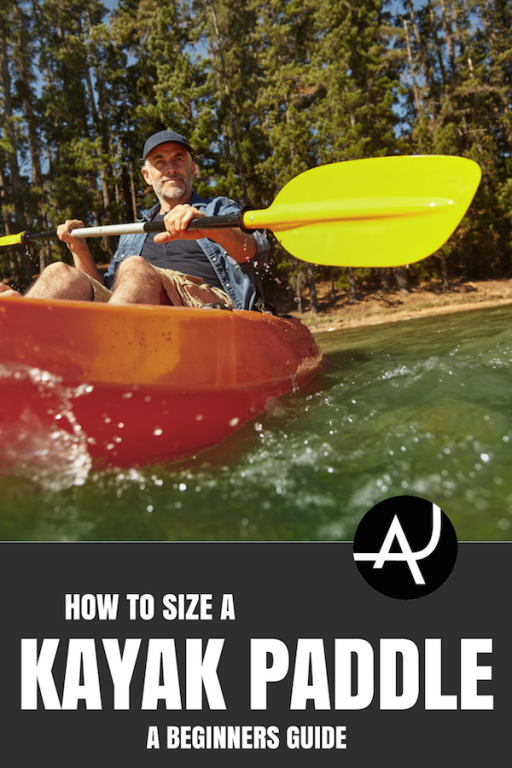 Aquabound.com has a great chart to helps you figure out the proper paddle length based on both your height and your kayak’s width. 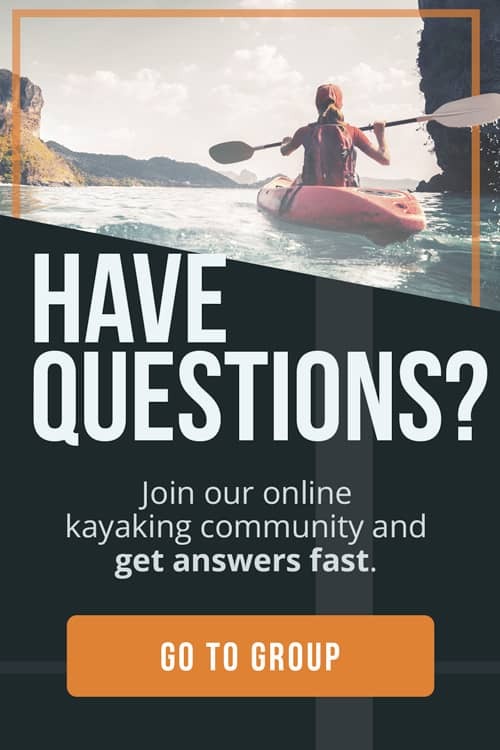 Bringing these three factors together, REI.com offers two exceptionally useful charts with which you can figure out how to size a kayak paddle. One is for low-angle strokes and the other for high-angle strokes. Using the above-mentioned factors, you’ll be able to find a suitable paddle length in the store. The following two easy methods can be used in the field. The best way to test paddle lengths is heading out onto the water and doing some actual paddling. 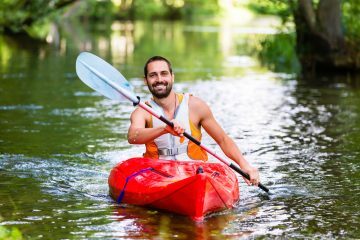 When doing this, use the kayak you’ll use on your kayaking trip and make sure to paddle with the right techniques. You’ll soon find out if the paddle length suits you or not. When you’re on shore, you can quickly figure out a good size paddle for you by holding out a paddle horizontally. Make sure your elbows are bent are a 90-degree angle. The position of your hands should be around two-thirds of the distance from the shaft’s center and the point where the blade meets the shaft. Another on-shore method is to stand up a paddle vertically next to you. Then, reach up with one arm, keeping it extended, and hook your first finger joints over the top of the blade. If your fingers can’t reach that far or if you can reach further over the blade’s top, the paddle is respectively too long or too short. 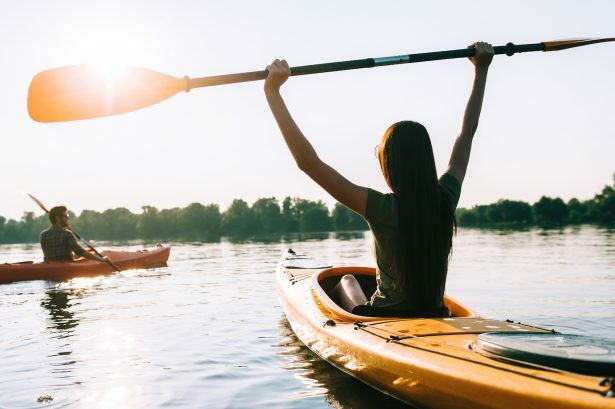 Keep in mind that it’s important to take into consideration your preferred stroke style, the design of your kayak and the length of your torso.